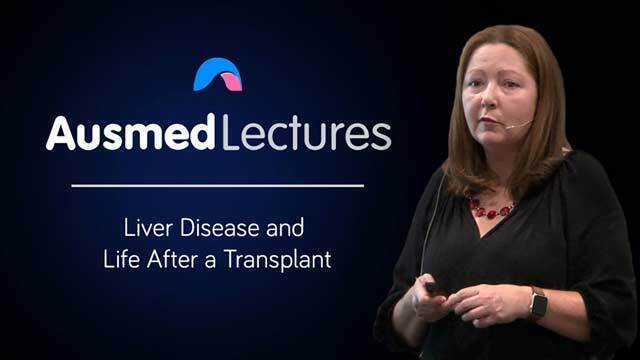 This presentation offers a comprehensive introduction to advanced liver disease in Australia as well as a personal story of a patient who received the life-saving gift of a liver donation. Hear about the personal cost of liver disease, first hand, and the impact great nursing has on its patients. Tracey Hughes,MSc, RN is the intestinal transplant coordinator, and liver transplant assessment coordinator at the Austin Hospital. She also contributes to a 24 hour roster to cover liver and intestinal transplant coordination at both Austin Health and the Royal Children’s Hospital. She has worked in the liver transplant field for more than 20 years, in a variety of positions working across both pre and post liver transplant roles, and as a liver transplant coordinator. She also manages patients across Australasia who are under assessment or active on the waiting list for intestinal transplantation. Prior to specialising in liver transplant, she completed a critical care certificate and worked in Intensive Care for a number of years. Excellent talk. I learnt alot from this and look forward to reading more on this topic. A very engaging presenter and topic.